There is a second reason behind the overnight success of the Ortofon Pro Series: Before we developed the cartirdges, we listened to the requirements of audio professionals and built into the design all essential features for disco and radio applications. And we have continued to listen, because even a great product can always be improved upon. The result is the new Ortofon Night Club Series featuring easier cueing, new styli, better sound, and higher stability. To facilitate cueing, the nose of the cartridge has an extra large cut-out which makes the stylus freely visible from above. The tip of the cantilever is fluorescent and furthermore, the stylus unit is made from a fluorecent yellow material. These details make the stylus highly apparent in spot light and totally luminous in ultra-violet light. Several Ortofon technologies make it possible to realize high sound quality and low record wear at the high tracking forces that are necessary in disco environments. 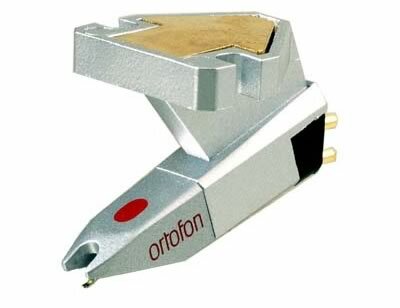 First of all, the low stylus tip mass – an Ortofon specialty – ensures improved tracking at high frequencies and very low distortion. The Ortofon Night Club Series now can be supplied with eliptical styli for even better high frequency performance, as well as traditional spherical styli. Both these families of diamond styli are accurately cut to professional specifications, and their highly polished surfaces ensure even lower surface noise and an absolute minimum of record wear. Apart from sounding good, a professional cartridge has to be rugged, and the Ortofon Club Series is very rugged indeed. Scratching and back-tracking impose heavy mechanical stress on the cantilever and its rubber bearing. Therefore, the Night Club cartridges are equipped with cantilevers made from aluminimum tube with increased wall thickness. Special attention has also been paid to the attachment of the cantilever to the bearing and the design of the bearing itself. This means that rough treatment will neither damage the cartridge nor degrade its stability. 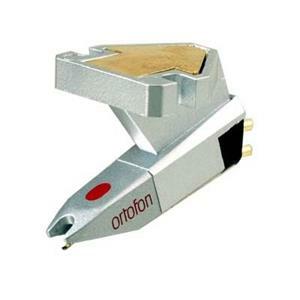 The Ortofon Night Club cartridges are available in OM versions for the mounting in standard shells or in an elegant integrated design – the Concorde Night Club – for direct mounting in tonearms with standard sockets. Each OM Night Club cartridge comes supplied with a 2.0 grams weight plate which should be mounted between the cartridge and the head shell, if the tonearm is not otherwise adjustable to tracking forces of 3 grams and above. Gold plated, colour coded pins ensure perfect signal transmission, and the linearity of the low-inductance Ortofon coil system is not influenced by capacitive loads in the range between 200 pF and 600 pF. The normal output voltage has been raised by 20 per cent to 6 mV. Following in the footsteps of the legendary Night Club series, the re-engineered Night Club boasts numerous sonic improvements in both club and studio settings. With a new cartridge body, the Night Club offers increased output voltage for powerful, energetic sound and enhanced performance from integrated phono preamps such as the ones found in DJ mixers). The redesigned elliptical stylus provides well-balanced high frequency response and ample low end reproduction. The Night Club marks a new generation of club cartridges, designed to surpass the gold standard set by the original Night Club cartridge.